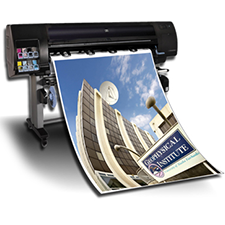 Bargain Printing can print posters up to a finished size of 13" x 19". We print on a variety of stocks such as 12 pt gloss cover as well as 100# gloss text, based on your project needs. Posters can be single or double sided and you will get the best value with full color printing. If your project calls for a smaller size, we will trim to your specifications.